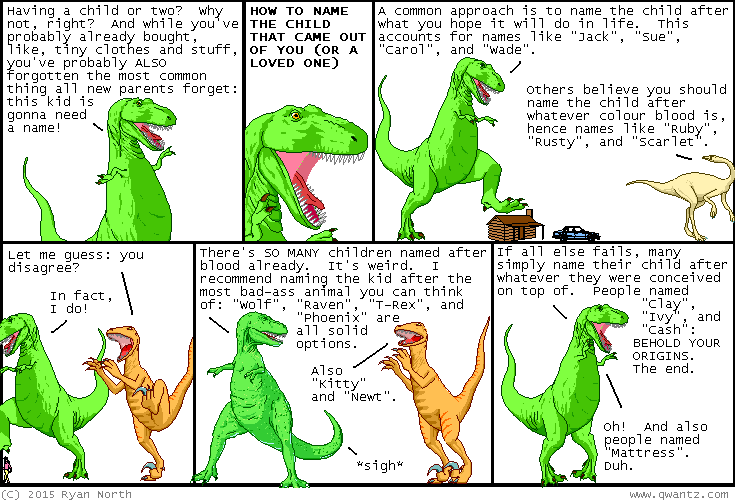 Dinosaur Comics - December 18th, 2015 - awesome fun times! –It worked for Mr. Chicago! December 18th, 2015: Thanks to everyone who came out to the party last night! It was super great and we even got to meet SANTA FLASH, who is of course Santa in a Flash outfit (or Flash in a Santa outfit, it is always hard to tell). It was weird how Santa Flash and Chip Zdarsky were never in the room at the same time, but that's just Chip's bad luck at missing him I guess! !